One word to describe New Zealand’s smallest National Park: idyllic! Proving that small can be spectacular, this coastal paradise is blessed with a mild climate and pristine vistas with crystal-clear waters. Be prepared to fall in love with every secluded swimming spot and serene bay. Located at the top of the South Island, Abel Tasman’s 22,530 hectares are absolutely packed with natural beauty and brimming with opportunities for adventure and relaxation. Hiking and kayaking are the most popular ways to explore this beautiful part of the world – keep an eye out for dolphins and fur seals. If you want to take it up a notch, book in a skydive where you have the opportunity to see both the North Island and the South Island at the same time! 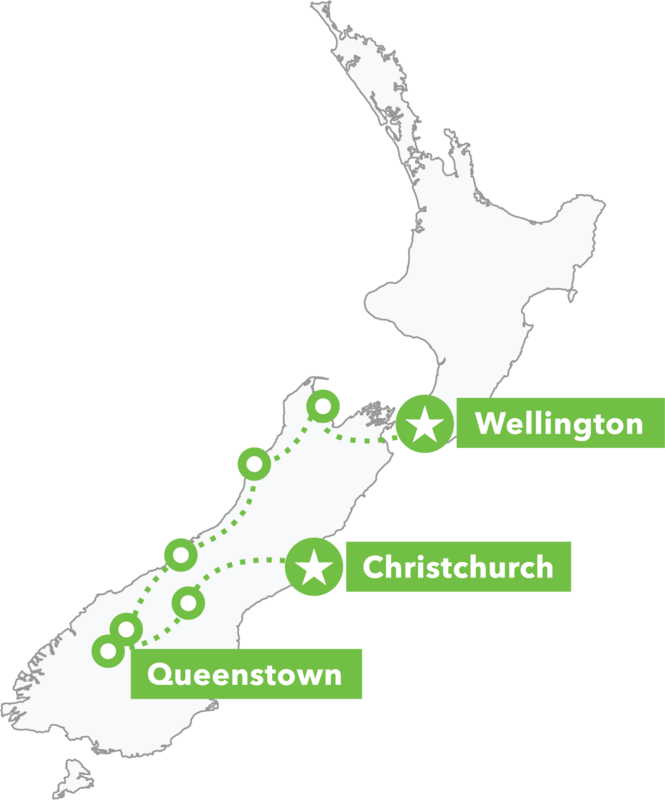 The park is located within the region known as Nelson Tasman which includes the towns of Nelson, Motueka, Takaka and Golden Bay. All the surrounding beauty inspires an easy-going lifestyle that tends to draw creative people as well as those who love outdoor adventure. The mild climate and enviable amount of sunshine hours make for perfect growing conditions for a range of produce including hops – which makes this is a prime spot to get some craft beer tasting in! No matter how much time you spend in the Nelson Tasman region, you’ll always wish you had more time here! Casual and yet also vibrant, Nelson has a long-held reputation as a creative and ‘artsy’ city. There are over 300 working artists nearby. One big drawcard for visitors is the World of Wearable Arts Museum is located just outside of the city. You don’t have to look far for outdoor adventure; aside from the world famous Abel Tasman National Park, there are two other national parks all within easy reach of Nelson city: Kahurangi National Park and Nelson Lakes National Park. Mountain bikers will find their happy places here with literally hundreds of kilometres worth of tracks to explore including some purpose-built parks. If you join us on a North Island MTB tour, we recommend adding on a 3-day Nelson Sunseeker bike adventure and we’ll show you the best trails! Many people come to this gorgeous area to ‘do’ the 52 kilometre Abel Tasman Coast Track – one of New Zealand's nine 'Great Walks’ that takes between 3 and 5 days to complete. For added interest, parts of the track are affected by the tide, so you can walk the whole track in either direction using high or low-tide track options, or take a water taxi or kayak between different bays. The park includes the mountains and the coast between Golden Bay and Tasman Bay.